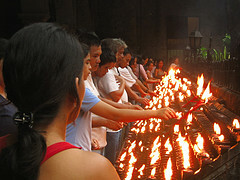 A surge of Faithful Catholic devotees at the Basilica’s prayer sanctuary. The Philippine Islands would never be in its present popularity had it not been for the stroke of luck which led to the discovery of Cebu by the great explorer Fernando Magallanes who first sighted Samar, Cebu’s neighboring island, on March 16, 1521. 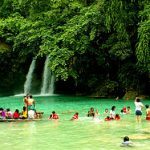 Unlike many of its interesting destinations, this central part of the Philippines certainly does an important milestone voyagers from all continents probably should do a visit before heading anywhere of the nation’s ample tourist attractions. 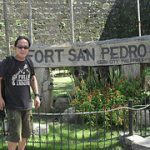 My travel to Cebu provides several important guides and reviews, from its famous historical features down to its awesome island resorts, and some recommended hotels to stay. 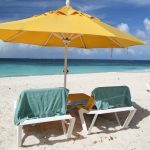 Tourism reporting about one’s own country could either be biased or rhetoric. I say so because that writer might only be looking all at the optimistic or else doing such subjects largely for endorsement purposes. 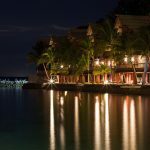 “Travel + Leisure”, a New York based magazine, has just classified Cebu as one of the best islands in Asia, ranking 3rd, where it follows the islands of Bali (1st) and Maldives (2nd). 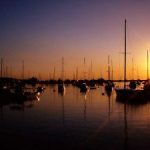 And to that, I can add that this article provides no rhetorical content and aims to give every travel junkie in the world an idea, perhaps a closer view, of what Cebu Island has to offer. 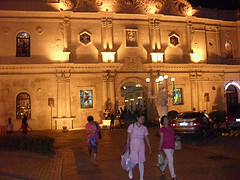 Cebu as the oldest Philippine city gets itself prominent historical landmarks, both castle and house of worship. My first day in the city begins with a few European travel journalists-along with some Chinese, Koreans and Japanese, French, German and Russian tourists-visiting the 272 year-old Fuerza de San Pedro (or Fort San Pedro). 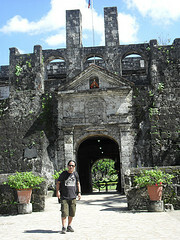 It is the oldest and smallest Spanish citadel in the country built in the year 1739. The historical sight situates itself right at the coastal vicinity of the city where it still retains archaic canons positioned atop its triangular crown. 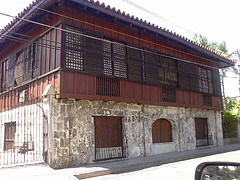 The fort’s three bastions attached to the building (La Conception, San Ignacio de Loyola, and San Miguel) still remain solid, as the main entrance below are found some historical photos or illustrations that depict the arrival of first Spanish expedition and the imaginary drawing of what Fort San Pedro may have looked like in the late 16th century. The accurate date of construction of the stone fort is uncertain. Although old Spanish document its city tourism has made available to me stated that the first work started on May 8, 1565, with Miguel Lopez de Legaspi. Little was known about the activity of the fort from the time it was built until two centuries later in 1739, when Governor General Tanon, the Spanish ruler of the islands at the time, made an official detailed account about the fort back to the King of Spain. I climb up and take a walk around its observatory roof garden. It is faithfully restored by the city government. 14 vintage canons are still there. Also, there is museum within the fortress which displays rich and aged historical artifacts. Unfortunately, I haven’t had the chance to set eyes on what’s inside because it is for the moment closed for renovation. And such relics in the museum (said to be old Spanish documents, paintings, and sculptures and diggings of Fort San Pedro) were already pulled out and transferred somewhere. 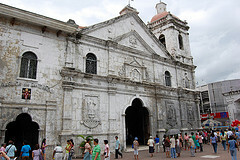 “Basilica Minore del Santo Nino”. 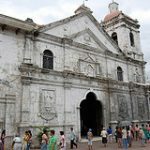 This ancient spiritual edifice, also known as the Santo Nino Church of Cebu, rests on its actual location at downtown point Cebu City where the succeeding Spanish adventurers first erected it in wooden materials way back 1565. The stiffing 12:00 noon sunlight takes me to wait a few hours at a sheltered place after finally finding an apt position to photo-shoot on such very old structure, and acquires the necessary information from its office I could have needed for documentation. 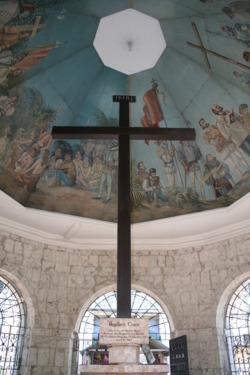 Inside the small circular edifice is the Magellan’s Cross. “The area where this church stands now,” narrates the Office Keeper, “is the original setting in 1565 when the first Spanish mass was heard and done.” He further explains that the reconstruction of the church with hard stone bricks began in 1735 up until it was complete in 1739. The Philippines’s oldest church until now maintains its soaring facade that blends Muslim, Romanesque and neo-classical architectures. Because of the growing number of churchgoers, pilgrims, and tourists, the historic house of worship could no longer accommodate them. And its minster authority put up a pilgrim center outside (just within the Basilica compound) where priests solemnize mass in the open, theater-like venue. Right beside it are sets of lined candle holders where Catholic devotees pray over. 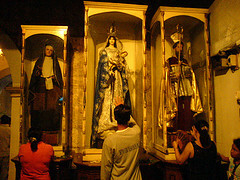 The church is said to be miraculous and even allures non-Catholic foreign visitors because of its affluence in history. A few steps onward the Basilica Minore del Santo Nino is the 490 year-old “Magellan’s Cross” where, according to recorded history, the explorer Fernando Magallanes had planted the cross on this very site on April 21, 1521, as engraved below its replica of “tindalo” wood. 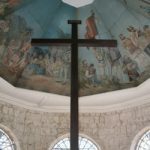 It is believed that such replica has encased the original cross planted by Magallanes, signifying the birth of Christianity in Cebu and the Spanish colonization of the country. Additional historical features located nearby the foregoing attractions are the “Casa Gorordo Museum”, the “Cebu Metropolitan Cathedral”, and the “Cathedral Museum”, while the uptown city area gets itself the “Taoist Temple” and “Tops”. 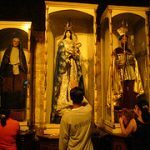 These attractions located around upper vicinity of Cebu City do not belong to such historical features. 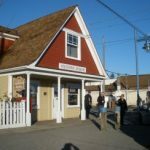 But they do offer a tremendous treat to tourists. 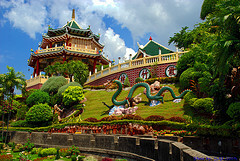 Cebu Taoist Temple is the center of worship for Taoism the substantial Chinese community of Cebu had built in 1972. 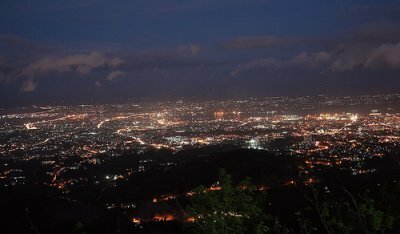 It is open to worshippers and non-worshippers alike that also provides overlooking view of the city. 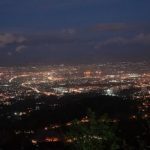 “Tops”, being at the highly elevated spot in Busay Hills, gives more breathtaking panoramic view of entire Cebu. The city also owns a world-class festival called “Sinulog”. 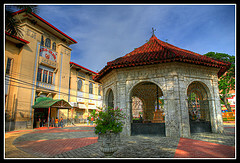 Cebu City has many hotels around. 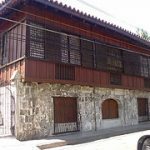 If you find a place to stay easy to get to the above mentioned historical attractions, then you should be somewhere in Fuente-Osmena, the heart of the city, very safe and accessible to shopping stores and travel tour offices. One hotel I know in the area is Cebu Midtown Hotel that provides complete facilities, excellent food, with WiFi internet reception. There are cheaper hotels too at around US$10 in the downtown area, but I wouldn’t guarantee its safety especially to foreigners. Food is not a problem anywhere in Cebu City as long as you eat Asian cuisines. There are a number of local and foreign fast food outlets, and so are wine and beverages. You can drink as plenty as you can. 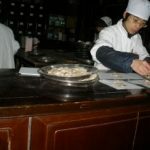 The city’s tourism has listed several recommended places to eat. Visit its website as linked at the end of this article. 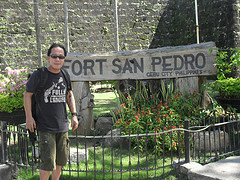 The southern part of Cebu has several places of interest too. It is the Island of Badian which catches my attention most. Situated around 97 kilometers southwest of Cebu City, the area is famous for beautiful corals, reefs, and white sandy beaches. 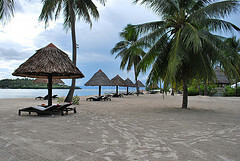 Of particular is “Badian Island Resort & Spa”. 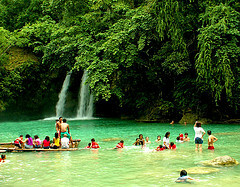 This resort offers a lot of leisure services to guests, including water sports and a brief excursion to the magnificent “Kawasan Falls”. Going to this place needs one to be in Cebu City as a hub, and then find a travel agency within the metropolis for assistance. One trusted travel agency is listed below. Junfil is the Author of the book “Pearl of the Orient Seas: The Philippine Islands (Its History, Culture, Women, Tourist Attractions, & Natural Wonders)”, Lulu Press Raleigh NC USA, available in June 2011 and be channeled out through online book outlets as Amazon.com, Google, and Barnes and Noble.